Hi there! It's Friday and on TGIF challenges we are launching a new challenge today and it will be amazing if you can join us by entering your projects Here! 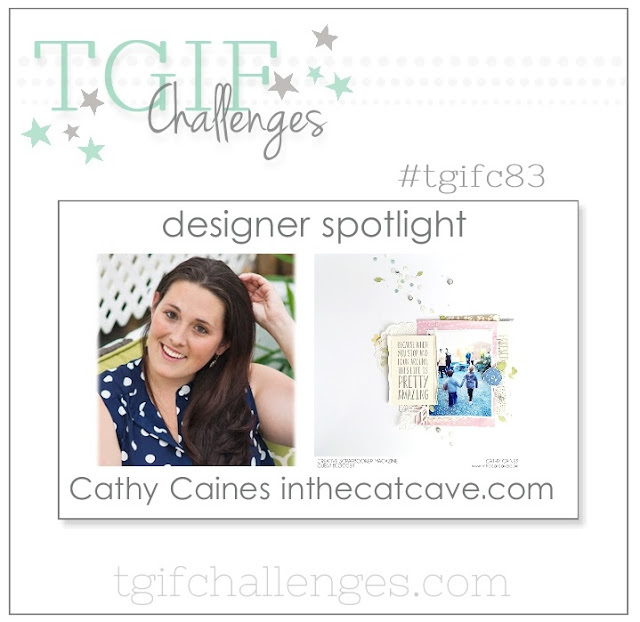 This week Cathy Caines is in the spotlight. Cathy is a Canadian Stampin' Up! Demonstrator, member of our TGIF design team, and she makes spectacular scrapbook pages. 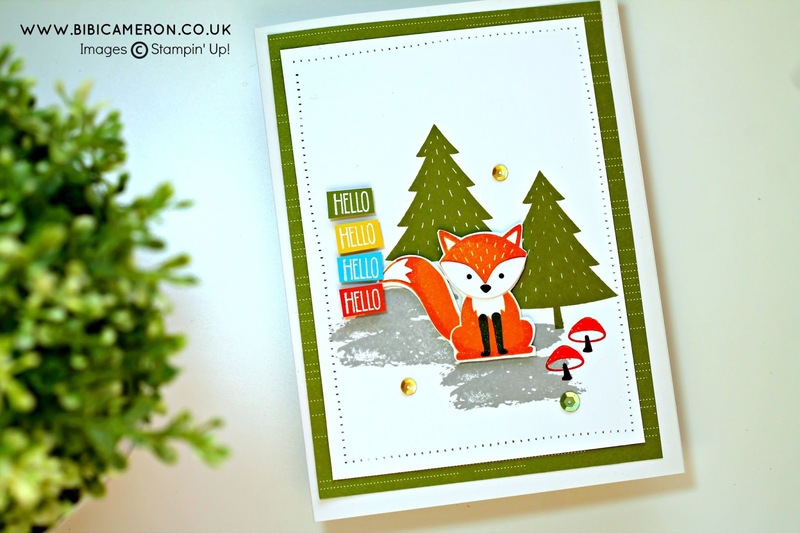 Her work have been published in different magazines and her blog is filled with inspirational ideas about Project Life, some mix media projects and off course cards! So I looked at her blog and I found a card she made years ago (2014) and I CASE it! This is the card I'm casing today. 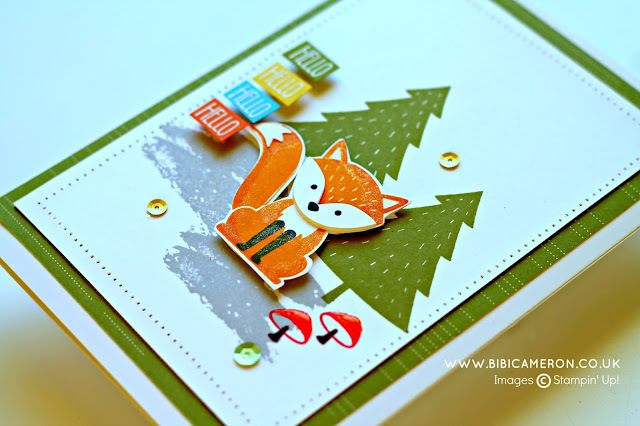 Click here to visit Cathy's post with this card! 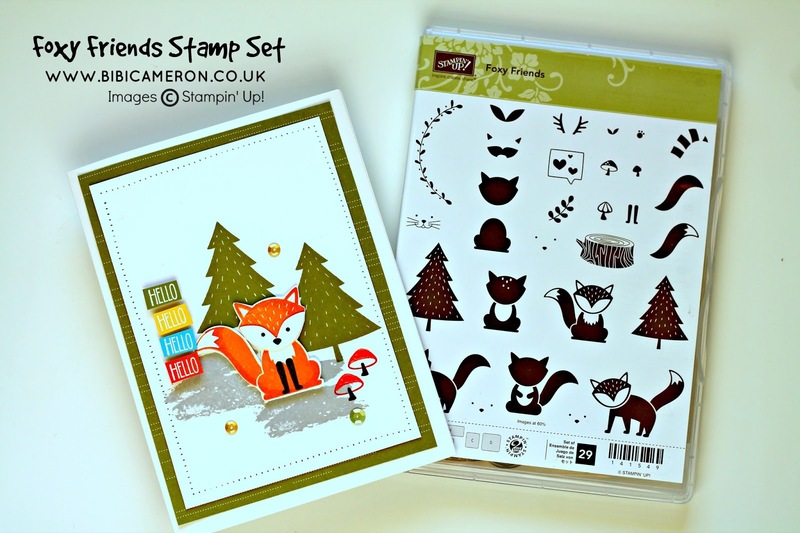 I love Foxy Friends bundle by Stampin' Up! and I haven't been able to play with the stamp and the punch as much as I would like to. And as I have been happily busy this week, I wanted to make a very easy and quick project for this challenge. This is the kind of projects that save the day (When someone has already designed them of course!) as it is easy to CASE , easy to make and it is a lovely simple card . 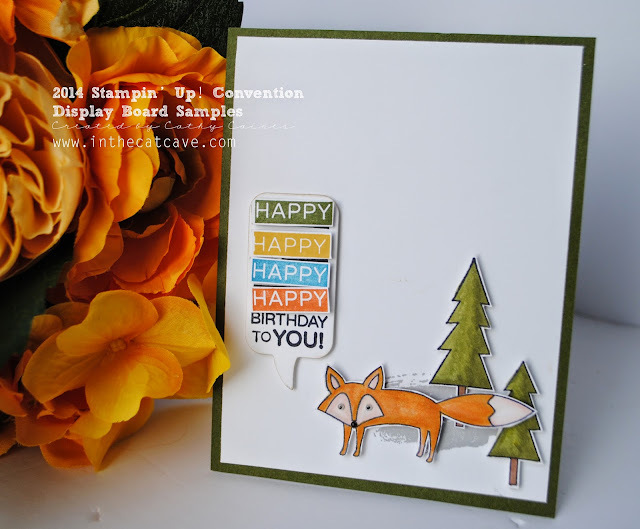 I have recycled Cathy's design and I applied the same concept using current products from Stampin' Up!. 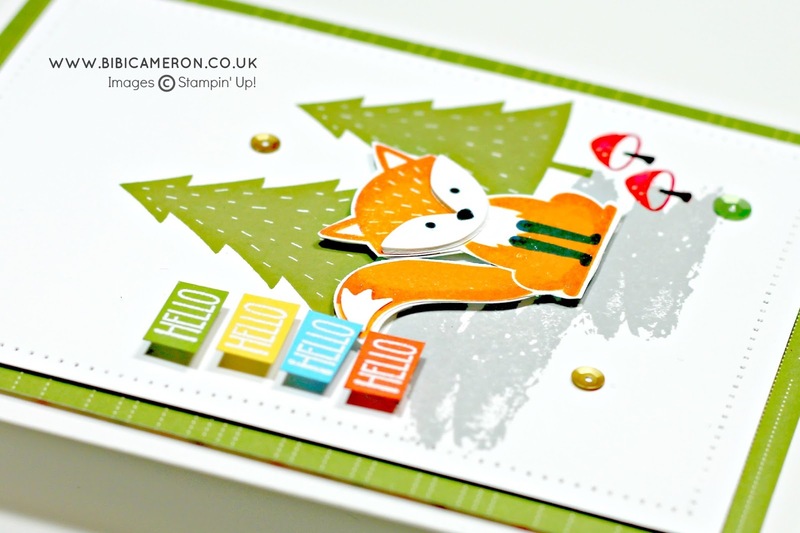 I like projects with a bit of dimension so to make the fox's face I punched 4 pieces for his mouth and glue them one on top of each other, I stamped the fox with Pumpkin Pie and Tangelo Twist inks and I hand cut it, then I pasted with dimensionals to the card based. I used the stamp " HELLO" from Sunshine Sayings Stamp Set and from the same set I used the brush stroke stamp to stamp it with Smoky Slate ink on the background. To stamp the trees I used Old Olive ink and I embellished the card with matte gold sequins by Lucy's Cards. I absolutely adore her sequins collections they really make a difference in the finishing of the projects. Oh! and I used my sewing machine to create the stitched whole at the edge of the front panel.